Diabetes is a chronic condition that causes high blood sugar levels that are potentially fatal if left unmanaged. Injection of insulin is the primary treatment against this disease. Unfortunately a daily intramuscular injection regimen can be painful and tedious while daily subcutaneous injection, manually or via a pump, is a less efficient delivery mode. Orally available insulin is a highly desirable development in the treatment of diabetes. However, orally-dosed insulin has not been developed yet due to insulin’s inabilities to survive both the acidic environment of the stomach, as well as be absorbed through the intestinal membrane. Now, a study from researchers at Niagara University develops of a neutral lipid based vesicle, which they have named the Cholestosome, which uses naturally occurring lipids, for delivery of insulin orally. The team state that their formulations have been tested in rats and the data shows oral availability of insulin. The study was presented at the 252nd National Meeting & Exposition of the American Chemical Society (ACS). Previous studies show that the biggest obstacle to delivering insulin orally is ushering it through the stomach intact. Proteins such as insulin are no match for the harsh, highly acidic environment of the stomach. They degrade before they get a chance to move into the intestines and then the bloodstream where they’re needed. Some efforts have been made to overcome or sidestep this barrier. One approach packages insulin inside a protective polymer coating to shield the protein from stomach acids and is being tested in clinical trials. Another is inhalable insulin, which, despite rave reviews from some patients, has disappointing sales. The current study uses the patented Cholestosome to successfully encapsulate insulin and administer it orally to rats. The current study uses novel vesicles consisting of naturally occurring lipid, or fat, molecules. Results using computer modelling show that once the lipids are assembled into spheres, they form neutral particles resistant to attack from stomach acids. Data findings show that drugs can be loaded inside, and the tiny packages can pass through the stomach without degrading. The group explain that when Cholestosomes reach the intestines, the body recognizes them as something to be absorbed; the vesicles pass through the intestines, into the bloodstream, and then cells take them in and break them apart, releasing insulin. The researchers state that they have delivered multiple molecules with these vesicles into cells in the lab. They go on to add that they determined the optimal pH and ionic strength of the drug-containing solution to pack the most insulin into the Cholestosomes. Results in rats show that certain formulations of Cholestosomes loaded with insulin have high bioavailability, which means the vesicles travel into the bloodstream where the insulin needs to be. The team surmise that their findings suggest a new way of administering insulin orally with tiny vesicles that can deliver the hormone where it needs to go without a shot. For the future, the researchers plan to further optimize the formulations, conduct more animal testing and develop new partnerships to move forward into human trials. 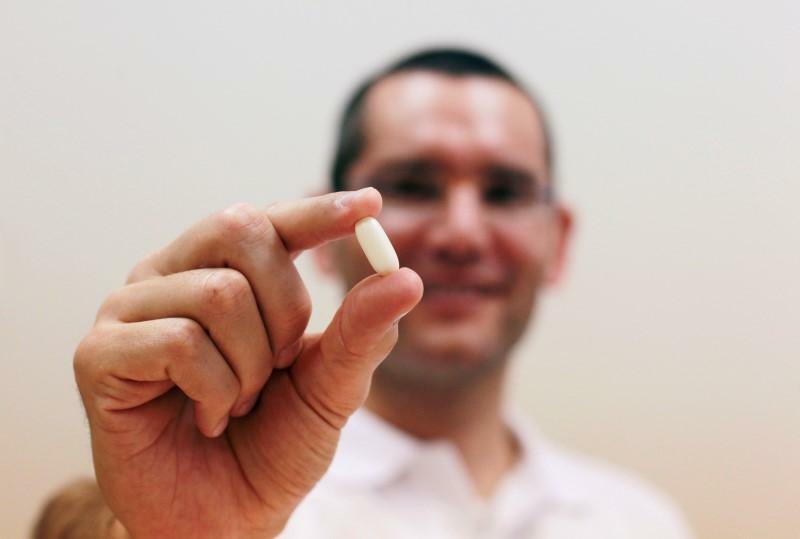 Insulin pill could make diabetes treatment ‘ouchless’.